By admin November 27, 2017 November 27, 2017 Funding, News of the Month, YALSA Info. 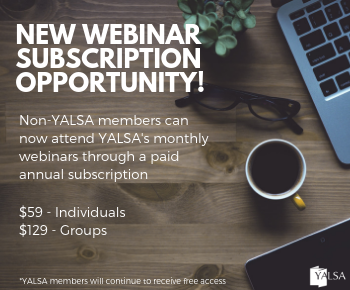 A common question that I get, especially from new board members, is about where funds come from to support YALSA and its members. The answer is pretty straightforward, although not one many people expect. Member dues make up only about a third of YALSA’s total funding. The other two thirds comes from product sales (award seals, books & e-learning); events (YA Services Symposium & ticketed events at ALA conferences); grants; corporate sponsorships; interest from YALSA’s endowments; and individual donations. 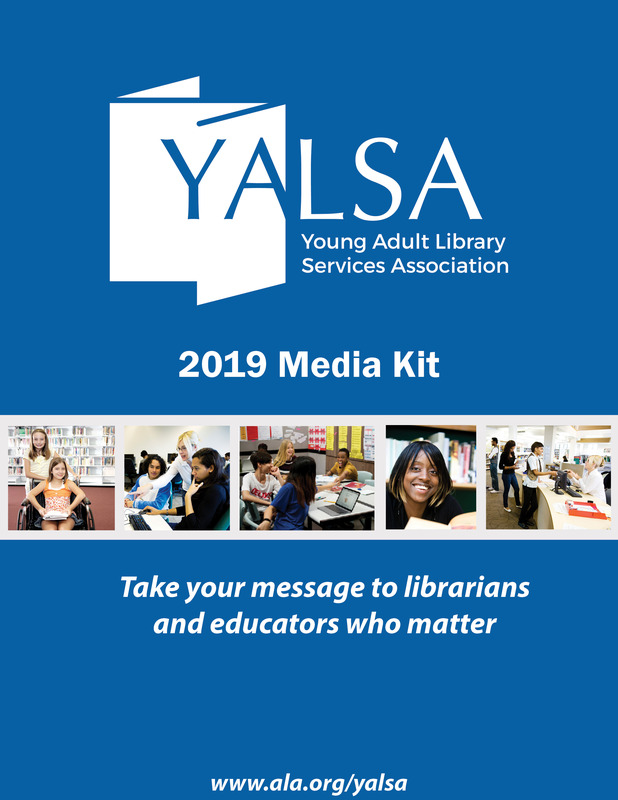 Many people are surprised to learn that funds from ALA or the Institute of Museum and Library Services (IMLS) are not a part of YALSA’s annual budget. Actually, YALSA receives important services from ALA, such as HR and legal counsel, but not regular financial support. IMLS offers competitive grants that YALSA is eligible for, and we have been awarded two. If you’re interested, you can learn more about YALSA finances in my latest annual report. 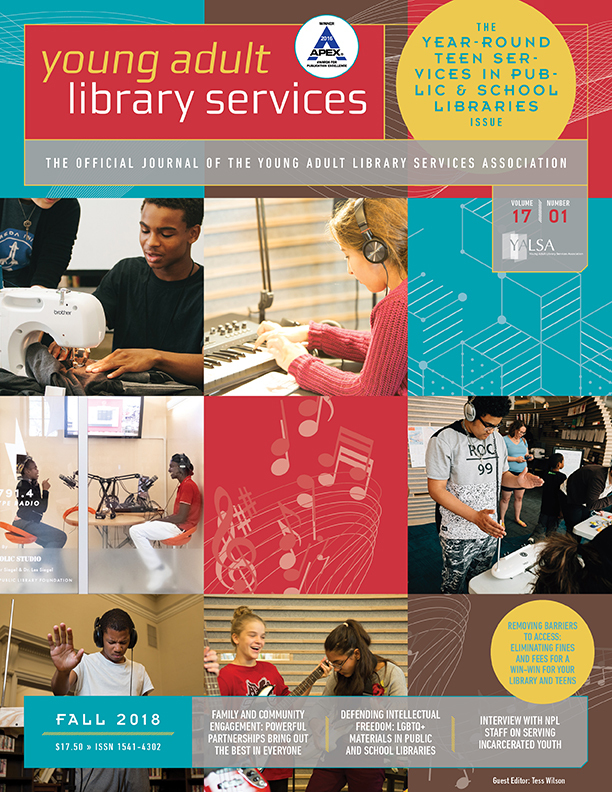 By Guest Blog January 7, 2016 January 13, 2016 Governance, YALSA Info. The Charge of the YALSA Financial Advancement Committee (FAC) states that the Committee “provide[s] oversight and continued enhancement of the Friends of YALSA (FOY) program, including fundraising efforts and donor recognition”. As a part of that work, FAC develops and presents a fundraising plan to the YALSA Board for approval each year. At their Midwinter meetings in Boston, the YALSA Board will review and take action on item 22, FAC’s proposed 2016 plan. The Board wants to act on the item during their Midwinter Meetings so that FAC is able to move forward with their plans without interruption. An effective Fundraising Plan is integral to YALSA’s ability to support several FOY initiatives. These include the Advocacy Travel Stipend, support of the ALA Emerging Leader Program, support of the ALA Spectrum Scholar Program, and the association’s Board Fellow. All of these give YALSA the opportunity to help members grow professionally. For the 2016 plan, FAC outlined a set of year-long virtual and face-to-face initiatives that provide YALSA advocates a variety of opportunities to give to FOY. If you have questions about FAC, FOY, or other YALSA financial topics feel free to get in touch with FAC Chair Jane Gov or YALSA’s Fiscal Officer Linda W. Braun. All YALSA Board Meetings are open to Midwinter Meeting attendees. Feel free to drop by for a short or long period of time. The meetings are an excellent way to learn what YALSA is working on and get a sense of how the association’s governance works. If you’re not in Boston, follow @yalsa for live Tweets from the meetings. Jane Gov is a librarian in the City of Pasadena, CA and Financial Advisement Committee Chair. By Kate Mcnair June 5, 2013 June 5, 2013 YALSA Info. 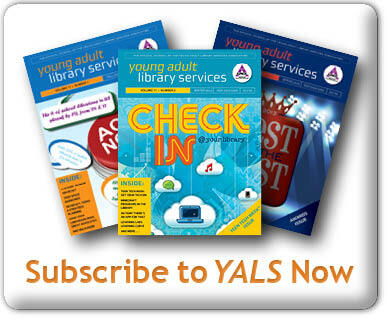 YALSA turns 56 this month and we want you to be ready to party! 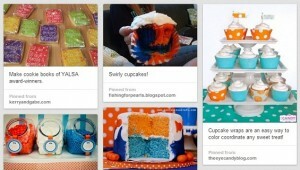 There is no better party planning tool than Pinterest, and I certainly don’t need an excuse to peruse the plethora of party planning pins, so here is your guide to an orange and blue theme YALSA party! The ideas for your YALSA birthday party range from simple and quick to ‘ requiring a Martha-Stuart-like array of tools and attention to detail. 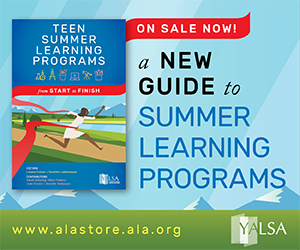 But no matter your budget, time or money, you will find something here that can help create the perfect party and draw attention to the wonderful things that YALSA does. I will be hosting my party in our staff break room next week, complete with orange soda, popcorn (in blue bags) and cupcakes! You can throw a party as big or as small as you like and ask for donations to support the Friends of YALSA, to provide stipends and scholarships for your fellow librarians. Post a picture of your cake or treats to YALSA’s facebook page by June 17th for a chance to win a gorgeous apron from The Cornish Hen’s Etsy shop and a signed book! What themes can you come up with? Or perhaps you are looking for another activity, check out the YALSA fundraising guide for more ideas! By Linda W Braun April 10, 2012 April 10, 2012 Advocacy, YALSA Info. In Manhattan (NYC) YALSA members are meeting at a restaurant for dinner, conversation, and YALSA donating. In Virginia a YALSA member is hosting a dinner at her home with book trivia and opportunities to donate to Books for Teens. In Boston, a couple of days before the official Booze for Books there will be a KidLit event that includes Books for Teens fundraising. In Chicago, ALA staff is also getting involved with an event at a watering hole near ALA headquarter offices. For those hosting and participating in Booze for Books events, thanks for your work in putting the pieces together. Don’t forget that the YALSA Fundraising Guide and Toolkit includes information you may need on how to collect funds, and record donor names, for YALSA’s Books for Teens project. In the Guide you will find donation forms and donor list sheets. Anyone hosting or attending an event should make sure to Tweet, take photos, post on Facebook, and record video in order to create a record of the event. Don’t forget to tag your photos, tweets, videos, and posts with #b4byalsa and that way all of the buzz from all of the great events people are sponsoring can be easily captured in one place. By Linda W Braun March 22, 2012 March 22, 2012 YALSA Info. Over the past few weeks we’ve been posting on the YALSA Blog about the upcoming Booze for Books event on April 12. It’s a fundraising event focused on raising monies for YALSA’s Books for Teens initiative which gets books into the hands of underserved teens. We’ve posted about planning for the event, moving beyond the booze box, and getting the word out about your event. This time around I want to throw out some ideas about getting some buzz going just before, during, and just after your event whether it be Mocktails for a Mission, Chocolate for a Cause, Booze for Books or something else. By Michele Hamiel March 8, 2012 March 9, 2012 Teen Reading, YALSA Info. Over the past few weeks the YALSA Financial Advancement Committee has been posting about Booze for Books. It’s the YALSA event scheduled for April 12 that focuses on raising funds for the Books for Teens initiative.’ If you haven’t read about Booze for Books yet, check out these two YALSABlog posts – Booze for Books: Don’t Miss It and Thinking Outside the Booze Box. Once your Books for Teens fundraiser is planned and you have a catchy name (Mocktails for a Mission, Libations for Libraries, Tea for Teens, etc. ), how do you get the word out?’ Your event involves socializing; doesn’t it make sense to use social media to get the word out. Or does it?’ Getting the word out can be challenging.’ Snail mail or email?’ Email will limit you to only those in your address book but I guess that is true for snail mail too. Do people still have a print address book? Hmmm, the question to ask yourself is how much time do I have/need to get the invites to donors, I mean your friends? If you start now snail mail will work for you.’ You will have a couple more weeks if you use email.’ Not much to think about with these choices. By Linda W Braun February 9, 2012 February 11, 2012 Teen Reading, YALSA Info. Have you heard? April 12 is YALSA’s first Booze for Books event. What? What’s Booze for Books? It’s a fundraising event in support of Books for Teens which focuses on raising money to get books into the hands of needy young adults. By Linda W Braun January 3, 2012 January 3, 2012 YALSA Info. As YALSAblog readers know, in December an anonymous donor gave YALSA a challenge. If the association was able to raise $500 for the Books for Teens project, the donor would give a matching $500 to the project. The good news is that because of the generosity of those who support and understand the importance of teen reading, the challenge was met and even exceeded. Donations to Books for Teens in December were $800. YALSA uses Causes on Facebook for donations via that social media platform, and that vendor charges a small processing fee for donations via their service. In December they charged YALSA $20. Therefore $780 was raised by donations, after the service charge, and add another $500 from the donor making the challenge for a grand total of $1280. That is an impressive monthly total and will make it possible to get many more books into the hands of needy teens. Thank you to all of the donors! Your generosity is greatly appreciated. The idea started last year in an eleventh grade classroom with a teacher joking that there should be a school version of the television show Dancing with the Stars. Some members of the class took the idea and ran with it. This fall, the seniors presented Dancing With the Staff. The basics: teachers were put into dancing pairs. The first week they danced ballroom. Three of the ten couples were eliminated, and the seven remaining danced freestyle the following week. Three teachers served as judges, serving up snarky commentary much like the judges on the show. Charging $5 a head, the senior class earned $3900. While it was a financially successful fundraiser, there were a number of other benefits as well. By Linda W Braun October 14, 2007 November 7, 2011 YALSA Info. A couple of weeks ago the One Laptop Per Child Project announced that it was going to give people the chance to purchase (for $399) two of their laptops – one for themselves and one for a child in a developing nation. This was big news because previously these laptops were only going to be available by developing nations in order to make sure children without access to technology gained that access. These laptops are actually pretty cool. They are hi-tech in an entirely different way than teens with whom you work might be used to. For example, technology behind the computers makes it possible to quickly and easily setup a network between anyone using one of the computers (a mesh network) so that several people, working on entirely different computers, can work on music, documents, etc. together. The computers are fairly indestructible with a keyboard that can be spilled on and a hard case with a handle for carrying. It’s not necessarily the computer that a teen would want to have as a daily tool for homework and social networking, but it might be just right for using with younger children to teach them computer basics. Many teens like having a cause for which they can work. Would the teens in your community be interested in setting up a fundraiser to buy at least a pair of these computers? The teens might then hold a raffle in order to give-away the computer that comes to their community. Or, they might make the laptop a computer to use for programs they implement with younger children. There’s only a couple of weeks until the laptops are made available to the public. (And they will only be available for two weeks.) But, if your teens can move fast to start their fundraising efforts, this might be a perfect project for them to sink their compassionate and empathetic teeth into. You and your teens can see a video of the laptop produced by David Pogue of The New York Times.